9 DNA fragments: 200, 400, 700, 1000, 1500, 2000bp The intensity of the 1000bp band is increased to yield an internal reference indicator. 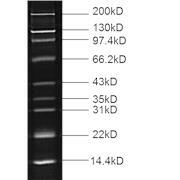 Usage: 6ul/load containing 75ng of each DNA fragments and 150ng of 1000bp band. 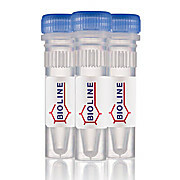 200~1500bp DNA Marker E, ready-to-use, contains a mix of 6 individual DNA fragments (in base pairs): 200, 400, 600, 800, 1000, 1500bp, with 800bp as reference. Usage: 6ul/load containing 75ng of each DNA fragments and 150ng of 800bp band. 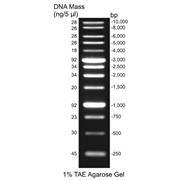 5 regularly spaced bands, ranging from 100 bp to 2000 bp, EasyLadder™ I is a molecular weight marker especially designed for fast size determination of linear double-stranded DNA fragments on 0.5% to 3% TAE or TBE agarose gels. 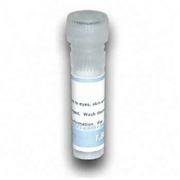 DNA Marker S, ready-to-use, contains a mix of 6 individual DNA fragments (in base pairs): 100, 250, 500, 750, 1000, 1500bp.